For several years now at Alturos Destinations it has been tradition for Spicy Sessions to take place. These events are an opportunity to share knowledge amongst colleagues and to discuss up-to-date topics together. All employees at Alturos Destinations as well as those from external companies are invited to our Spicy Sessions. Our latest Spicy Session took place at Lakeside Park in Klagenfurt. 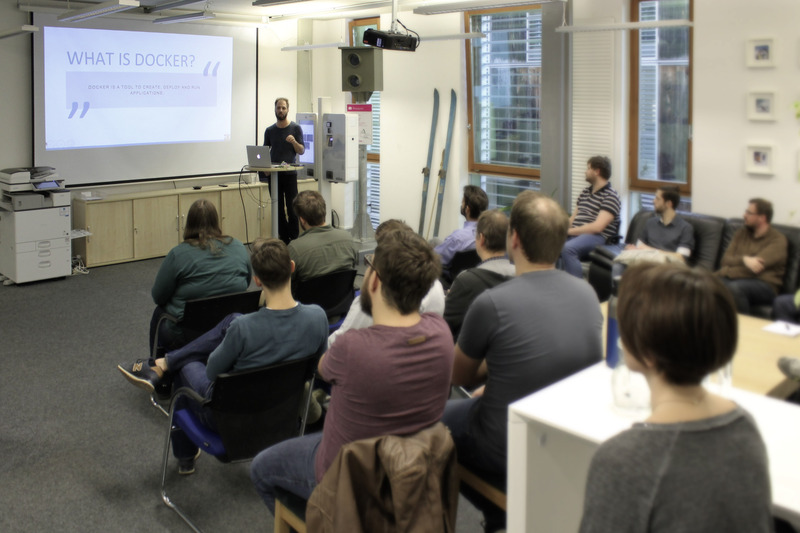 Rene Dettelbacher, a “Quality and Development Engineer” was talking about Docker, an Open Source software, to an audience that was eager to learn. Docker is a tool that can be used to create, deploy and run applications and enables virtualisation through containers. A container contains all necessary components that are required to run an application and that can be easily transported and started. These basics along with much more detail were explained by Rene during his talk. There is a question that we often get asked. Why do we call these talks “Spicy Sessions”? It is because we round off these events with a deliciously spicy chilli.